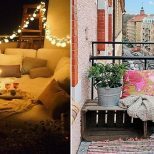 Candles create the perfect hygge environment. This porcelain holder is hand-painted with a bold metallic glaze. 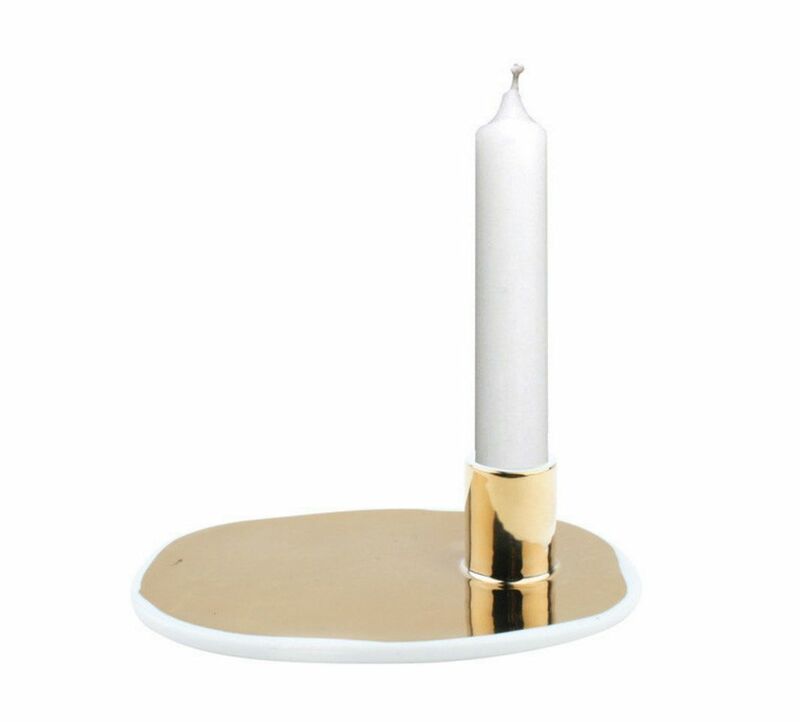 The look is subtle, yet glamorous and would complement a fireplace mantle or accent table. Enliven a monochromatic space with a bit of greenery. 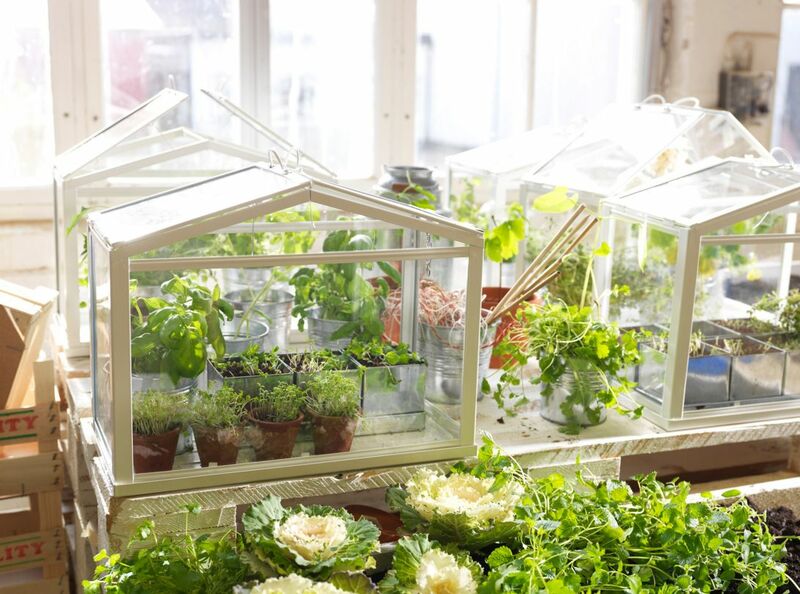 This adorable greenhouse will allow seeds to sprout and plants to grow. Gift it with an indoor culinary herb garden starter kit to encourage the green thumb in friends and family. 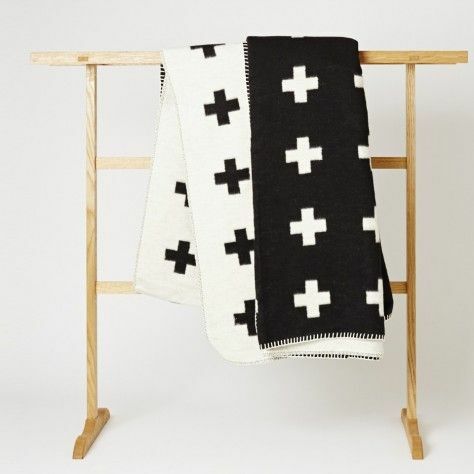 According to the designer, the cross is a “strong symbol for hope” throughout Swedish folk art. This reversible throw is made of 100 percent organic cotton from Peru that’s so soft, it’s sure to become your go-to cuddle blanket. 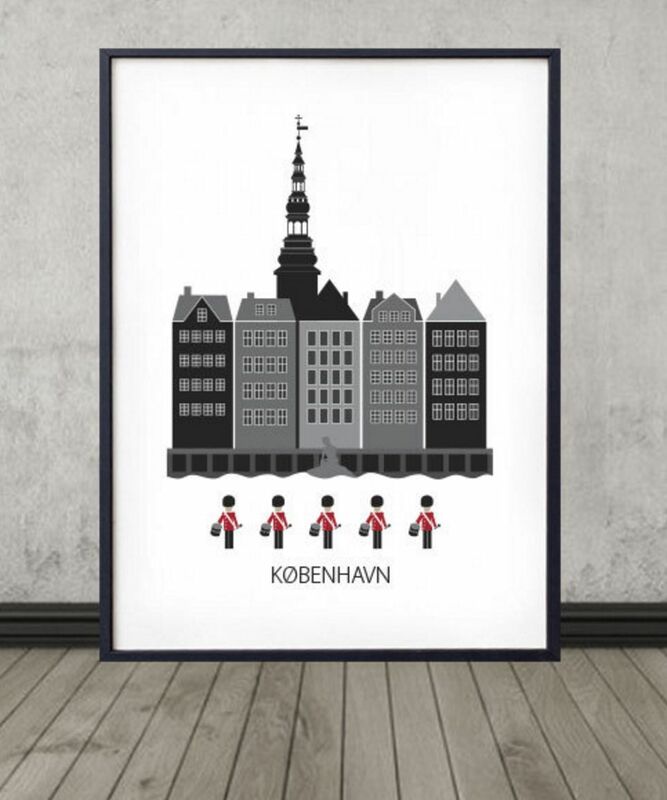 Commemorate a friend’s summer vacation to the Danish capital with this minimal print from Formanova’s Etsy shop. Featuring the statue of the Little Mermaid, boxy facades along Nyhavn, Royal Guards and the spire of Rosenborg Castle, it’s sure to bring back memories of the coastal city. Himmeli is a traditional Finnish Christmas decoration made of straw. The ornaments were traditionally hung by farmers, who hoped the geometric shapes would ensure a plentiful crop in the New Year. 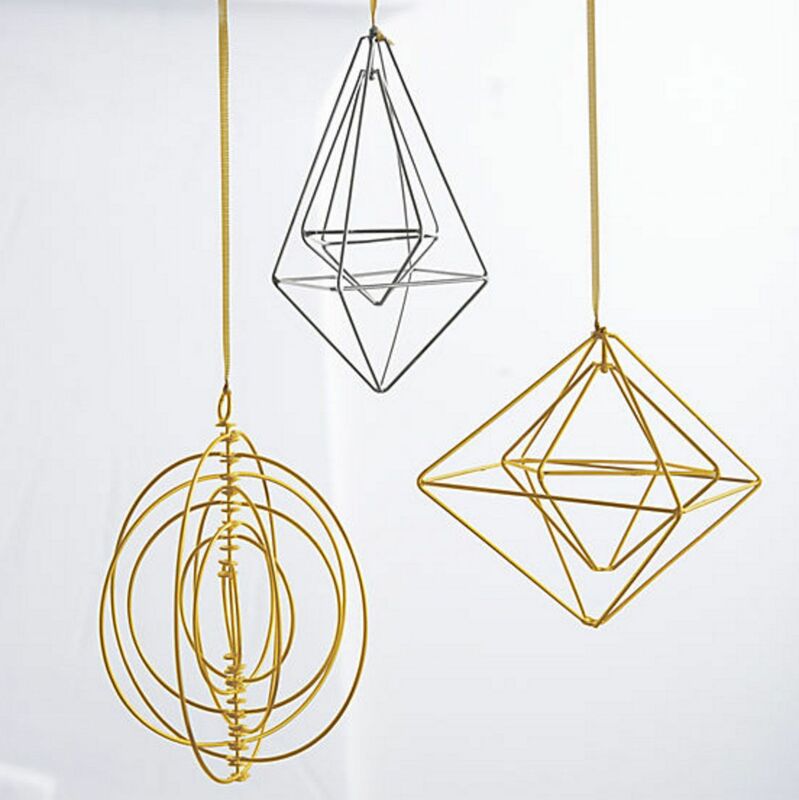 This modern take on himmeli is handcrafted of iron with a brass or silver finish. 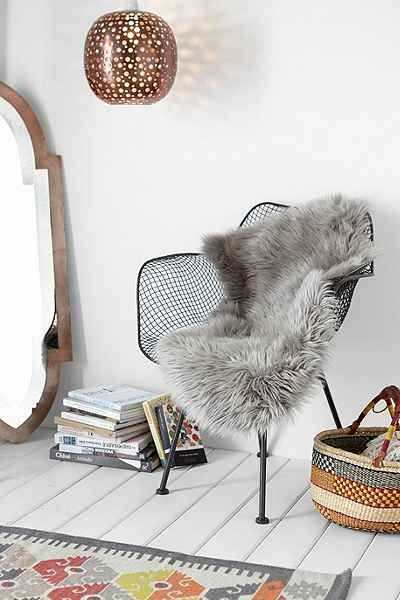 Using natural materials to create warmth is yet another element of Scandinavian interior design. The pelts add texture and coziness to a space — drape one over the back of a chair, the arm of a couch or lay it down in front of the fireplace. 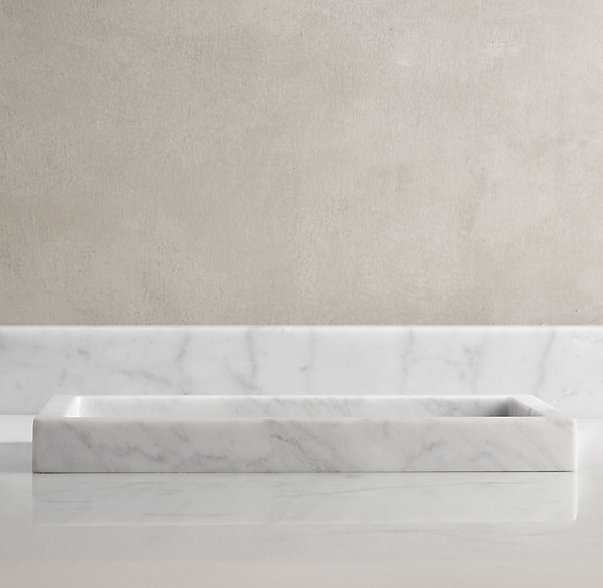 Minimalists appreciate functionality — and this stylish stone tray has it. 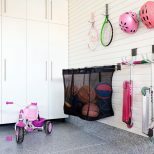 Measuring 12 inches wide and 7.5 inches deep, it can be used to display toiletries, jewelry, glassware, office supplies and more. The white Italian Carrara marble gives it a clean, timeless look.